Music has been a theme throughout Traveling Guitar Founder, Keith Ballurio’s diverse career as a guitar builder, author, technologist, and recording artist. Keith was born in Vineland NJ and began studying classical music at an early age. His first instrument was the piano but he quickly shifted to the guitar and by the age of twelve was playing in local bands. By his early teens, he was performing with the east coast bands Monarch and Mantis. At the age of twenty-two he moved to England where he continued to study guitar, although he augmented his electric guitar skills with the acoustic guitar. During this time, he entered the early world of computers, earning a degree in Computer Science and working as a system architect and computer software developer. In this period of his life, he received a patent in data science, authored several publications in various computer technologies, worked at a Washington area think tank, and became a CTO for a Washington-based technology firm. But music was always calling him and he built a studio and released his second and third CDs, Spider Dance and In the Machine, both which continue to sell both in the United Stated and overseas. Keith left the computer industry in the early 2000s although he continues to consult for various firms. Keith has once again returned to his musical roots, starting his own guitar company, Ballurio Guitars. He discovered that after playing and recording with so many different guitars, he could never find the “perfect guitar,” so he decided to build it. His company now builds custom guitars and pickups for discriminating artists. Each guitar is unique and a hand-built masterpiece. Once the guitar company was established, Keith found that he wanted to share his good fortune and love of music. 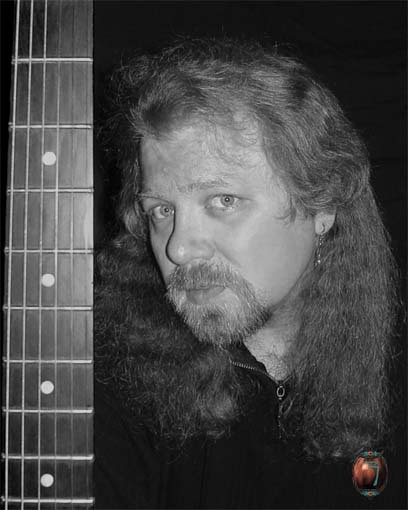 In 2009 he founded the Traveling Guitar Program. The idea of the Traveling Guitar started as a question posed… “How can we, who benefit and love music, give back?” The answer was the Traveling Guitar. It started as a grassroots organization with a simple idea, funding music charities and programs by auctioning two custom-built guitars. These custom guitars, the Travelers, are built and then sent on the road from artist-to-artist. Each artist plays and signs the guitars before they move on to their next stop. The guitars are then auctioned on eBay with 100% of the proceeds going to fund music education programs for children in school systems throughout the U.S. The Traveling Guitar also auctions donated gently used instruments and gear to raise additional funds. Keith is thrilled with the response to this small grassroots efforts, from the guitarists signing on to be performing sponsors to the major music equipment manufacturers and media stepping up to get involved. 100% of the proceeds going to music education and programs.